JacoTourSportFishing – True touch… Splendid moments! Jaco beach Costa Rica, is a city only 1hr from Juan Santa Maria international airport in Costa Rica, here you will find, a lot of activities such as: one of the best Costa Rica Sport Fishing, ATVs tours, tours, to Manuel Antonio national park, all our tours have insurances, professional turs-guide and transportation. 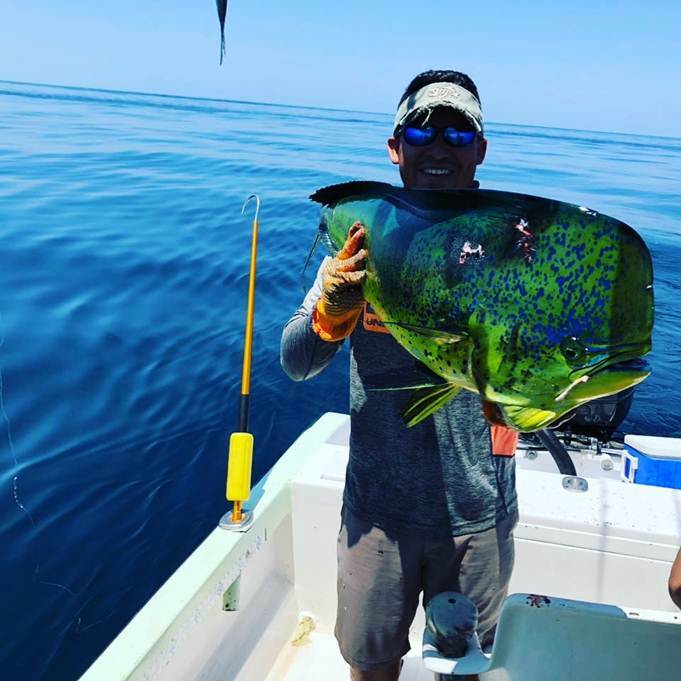 In the Pacific of Costa Rica, you can find a variety of fish is one of the best places in Costa Rica, sport fishing, among the variety of fish are: marlin, sailfish, tuna, mahi-mahi, wahoo, red snapper, rooster fish and more. Sport fishing is available for full or half day tours, both in shore and off shore. We have one of the best equipment, and one of the best jaco sport fishing. Enjoy a private tour or join a group and share. We can arrange from small to big groups in sports fishing, we can adapt to what our customers desire, we offer from inshore to offshore. We offer different packages including one-day, half-day tour and Multiple-days tour. We match our customers wishes. Our personal is bilingual to ensure our customers an amazing experience. All our boats are equipped with GPS, color finders and first aid kits. Black Marlin – The best season for this catching this fish runs between October and December. Blue Marlin – This species can be found off the coast of Pacific , Costa Rica, all year, but they are most abundant between April and June and also from October to December. Dorado – These fish are plentiful off the shores of Costa Rica throughout the year. They tend to reach their highest numbers in the months of October through March. Sailfish – One of the fastest fish in the entire ocean, Sailfish are most abundant from December to May. Wahoo – Although they can be found all year off the coast of Costa Rica, they are not an abundant species of fish so there is no prime season for Wahoo fishing. 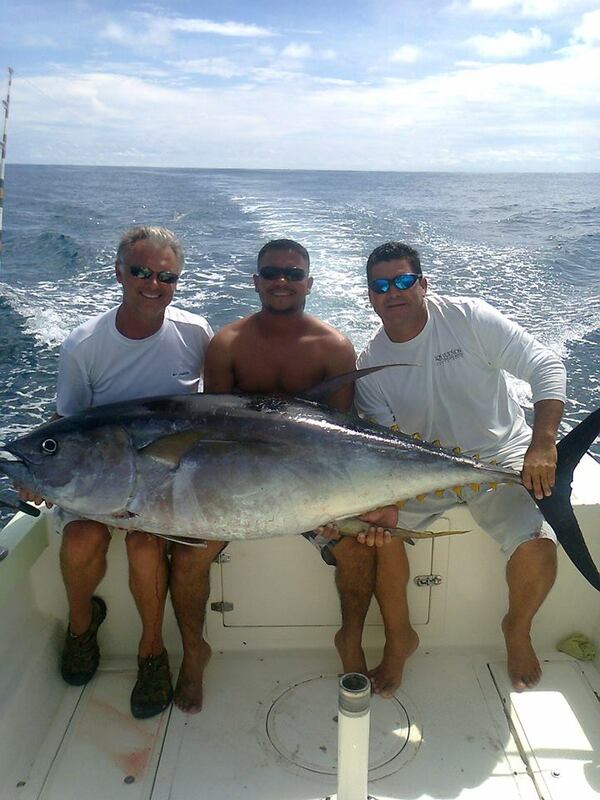 Yellow Fin Tuna – Many fishing expeditions in Costa Rica target this large species because there is no peak season for catching them, they can be caught all year. Roosterfish – This species is one of the most common targets for inshore fishing because of they are plentiful throughout the year. The peak season for this fish tends to run between July and September, however. Snapper – There are a number of species of Snapper that are commonly found off the coast of Costa Rica. The prime time of the year for catching any of the varieties of Snapper is July through December. 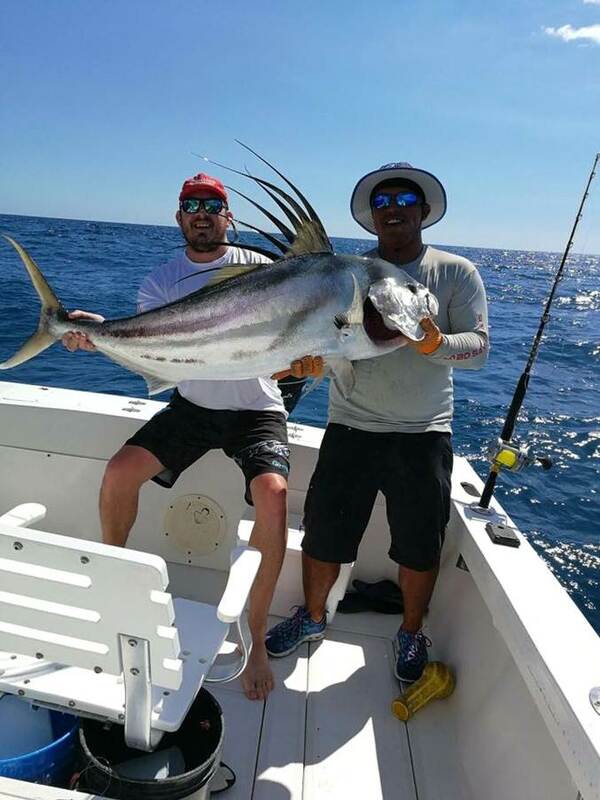 With a little research and planning, you can arrange exciting Costa Rica inshore and offshore fishing trips with Jaco Tours Sport Fishing. 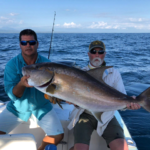 No matter what your skill level or the type of fish you want to target, you’re sure to create a memorable adventure on your Costa Rica vacation. Call 506 8838-3455 or fill out our simple contact form online to learn more about the inshore and offshore fishing packages available at Jaco Tours Sportfishing. 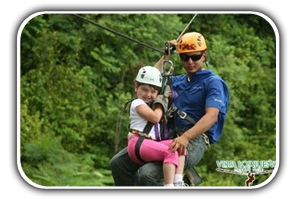 ADVENTURE INTO THE BEST FISHING EXPERIENCE IN COSTA RICA NOW!! 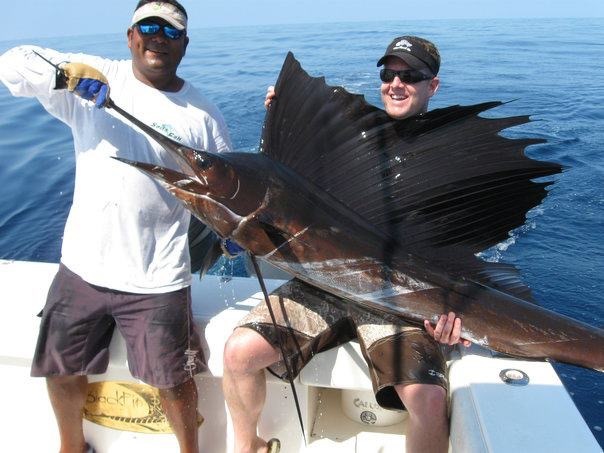 COSTA RICA FISHING CHARTERS & PACKAGES AT LOS SUEÑOS RESORT & MARINA, HERRADURA BAY. 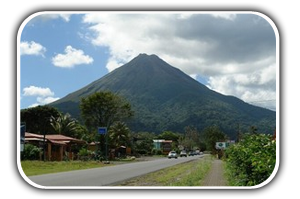 We have available excellent lodging in Jaco Beach which is close to Los Sueños Marina and many other attractions. 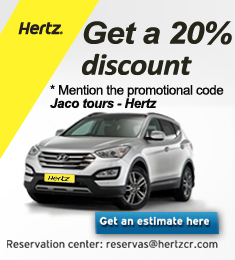 e-mail info@jacotoursportfishing.com or call us at Mobile: (506)-8838-3455 / Office: (506) 8838-3455. 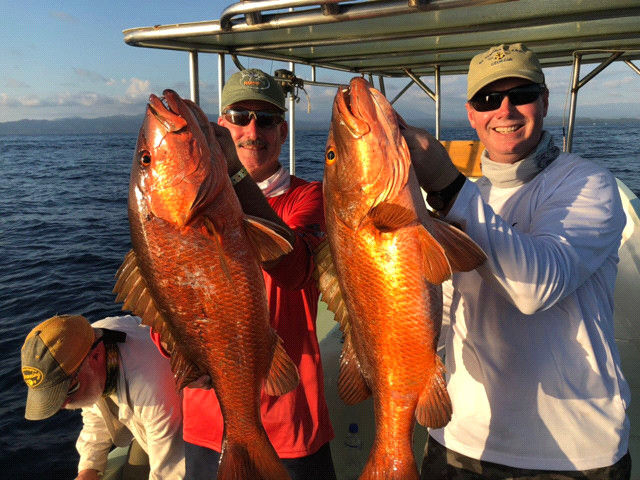 If you decide to have an unforgettable experience within the rich coast of Costa Rica with us, you would be able to find a big amount of snappers due to their like of rocky areas caused by the volcanic history of Costa Rica. The snappers are famous in this area throughout the whole year and they can weight around 60 pounds. You can also find snooks which feed on crustaceans near the reefs, they usually grow up to 20 to 30 pounds. 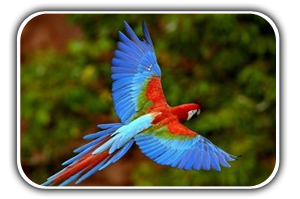 Another famous fish in Costa Rica is the rooster which is known for its expensive prize. Most of these fish weights around 20 to 40 pounds, but there are some that weight almost 50 pounds. These fish are true fighters, even for experienced fisherman can be an exciting capture. Sports Fishing trips are organized for small and big groups as well as touristic trips to remote tropical beaches, waterfalls and deserted islands. We are located in Herradura at Los Sueños Marina, nonetheless, we can arrange trips to any other marinas in Costa Rica as well. If discovering a new world under the sea is what you are looking for, we have the best places for you to visit. 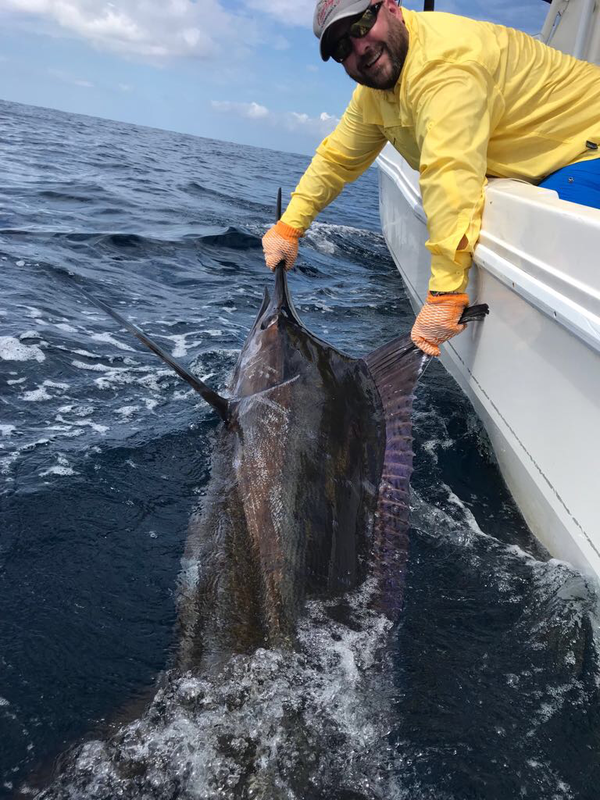 Within 30 to 60 minutes from the coast, you can find blue marlin, sailfish, and black which are among the largest fish and one of the most fascinating sports fishing in Costa Rica. These fish can weight around 150 to 500 pounds. 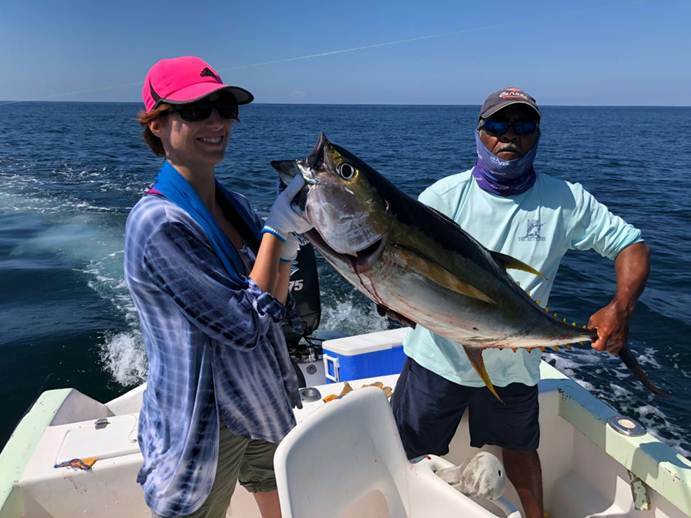 Another fish you can find while fishing is the yellowfin which is one of the strongest fish in the sea, weighing almost 200 pounds; they usually give you a fight when they are pulled out of the water to test the fishing skills. We will guarantee the calmness that only the sea can give you while experiencing the best adventure on fishing with the best crews and captains on board. Fishing Tours May Include: private transportation, Luxury lodging, a variety of snacks and drinks. Want to have the best experience ever? Book with us now! 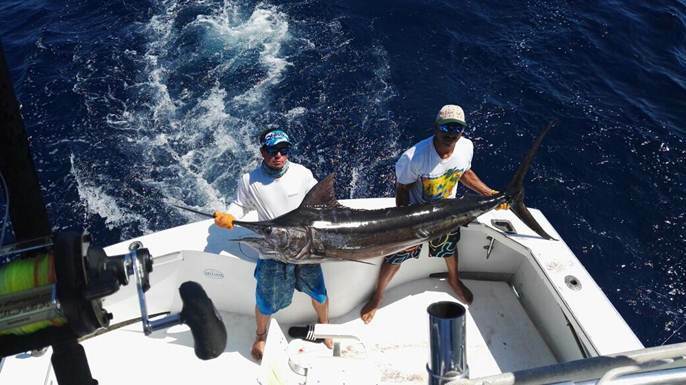 In Jaco Beach, Los Sueños Sports Fishing Tours. We are a premier fishing company located in the Pacific coast with the most luxury yachts at 40ft that guarantee our customers the most amazing experience in fishing. 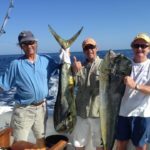 Why Book your fishing charter with Us…? 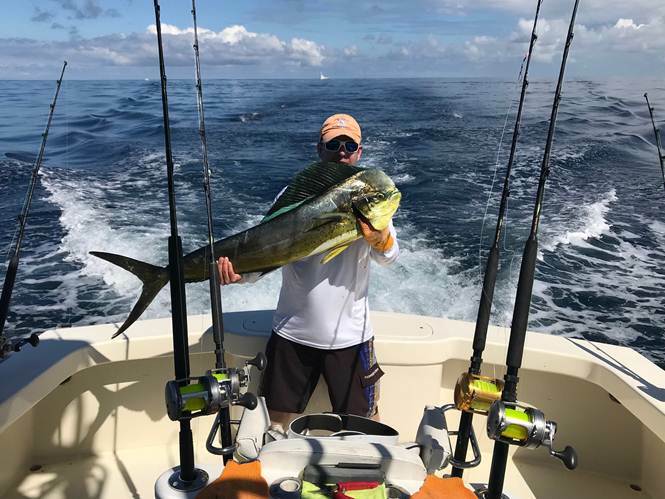 We have high-quality equipment for shore fishing, near fishing, offshore fishing, and deep sea fishing, moreover, our crew has all the conveniences needed on board as well as the USCG safety equipment. We also offer private transportation, Luxury lodging, a variety of snacks and drinks you can wish and more importantly we have more than 30 years of fishing experience which let us give our customers the best experience ever. 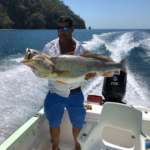 If are looking for a place to spend your vacation with family or friends and you want to enjoy the best experience fishing in Costa Rica, we guarantee that you will find it with us and you will want to come back again!